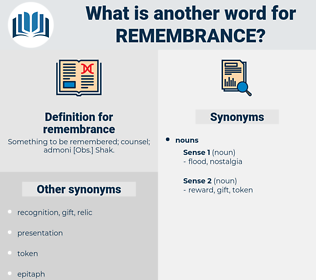 What is another word for remembrance? Something to be remembered; counsel; admoni [ Obs.] Shak. 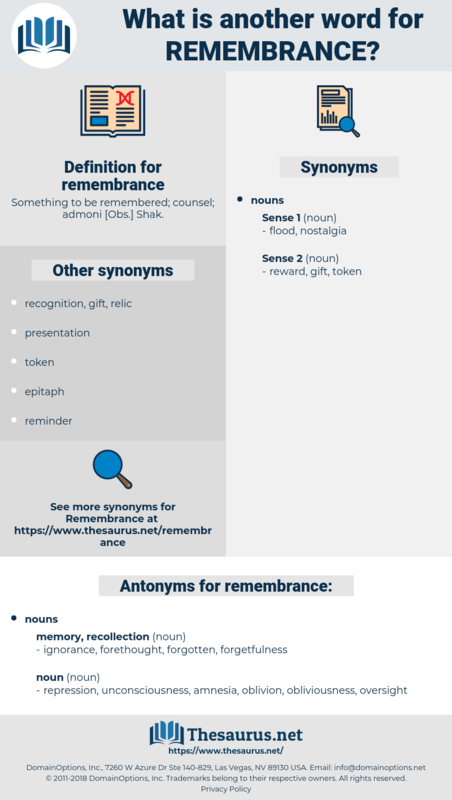 regards, memorial, reminder, tribute, mind, ceremony, remember, observance, legacy. repression, unconsciousness, amnesia, oblivion, obliviousness, oversight. Now and then, as the children played about her, a shadow crept over her face - a shadow as of cold remembrance - and then the perplexed tears followed.